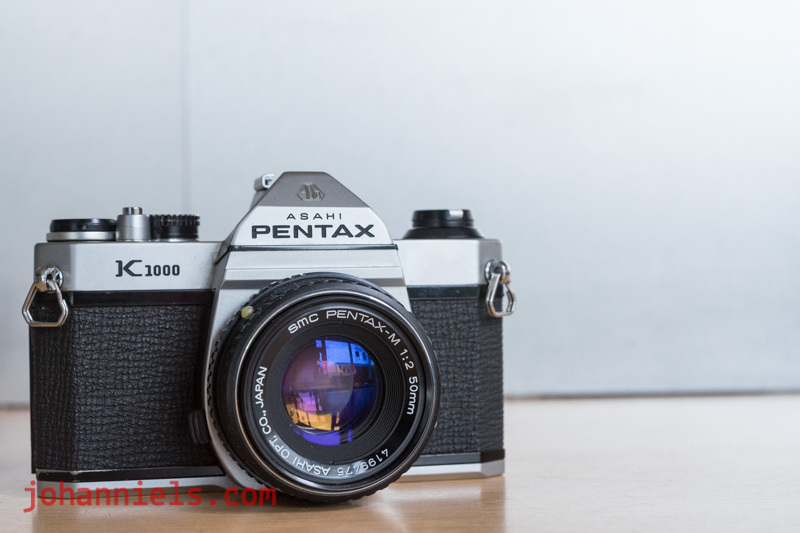 A very clean camera, with the original wooden take-up spool still included. Not a mark on it, bought from an antiques dealer in Kassel, Germany two years ago who had aqcuired cameras from an elderly collector. The 4.5 75mm Vaskar lens is totally clean, all shutter speeds are exact and the viewfinder is clean too. Bellows and leather as new. Asking EUR 79. Konica Autoreflex T3 with Hexanon 1.8 52mm and Hexanon AR 3.5 28mm. This camera is a tank with Swiss watch internals. The body is hefty and excellent for shooters with slightly bigger hands, all controls on the camera are laid out perfectly. It is the split image focus model, and has the original sticker on the back to signal that. It also has a large bump on the rear left corner, which fortunately does not impact use at all. Meter works and it very accurate. I love this camera for its EE option on the lenses, where you have shutter priority but the camera also shows the selected aperture in the viewfinder, and you can lock exposure by pressing the shutter button halfway and re-compose, for its multi-exposure option, and its cut-out bottom plate to load film easily. Lenses are very clear and snappy, although they have signs of use. This is a user camera! Asking EUR 69 with both lenses. Which is a pretty good price for two brilliant lenses and a free, working body! I have an original Konica lens adapter for M42 lenses. Asking EUR 25 but will only sell if the camera goes. I have a Tamron Adaptall mount for Konica. Asking EUR 20 but will only sell if the camera goes. I know there's another K1000 on RFF for sale at the time for less than mine but for EU buyers, shipping and taxes would sour the deal. They are getting harder to find in the EU and their prices are going up. This is the Japan-made metal version of the camera and it's a tank (there's a pattern here). It works as intended, is clean inside and all around, asking EUR 69 for my RFF brothers and sisters. A very nice specimen of the bigger late-sixties Olympus rangefinder, with fast 42mm 1.7 lens. Has a working exposure meter that you can see in the viewfinder, as well as on top of the camera! All shutter speeds work fine. 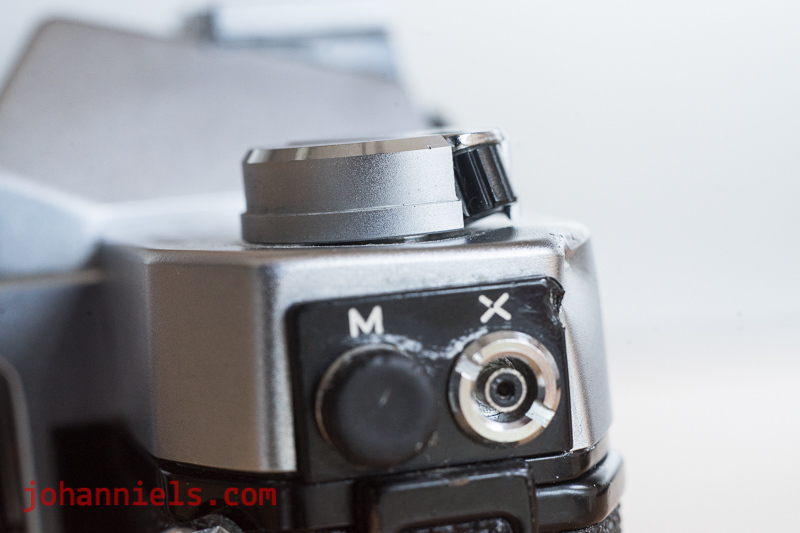 I particularly like that aperture and shutter speed rings are close together and rotate the same way, so that you can easily change both aperture and shutter speed by gripping them together so that EV is maintained. However, this is a camera that needs some work, the rangefinder does not move... It's a simple task but I've considerably lowered sales price, if it does not sell not I'll fix it myself and re-list the camera. Asking EUR 49. I'd also like to point out that the Ricoh Caddy I put up for sale earlier is still available here: http://www.rangefinderforum.com/photopost-classifieds/showproduct.php/product/54483/title/ricoh-caddy-half-frame-wonder/cat/12 UPDATE: Ricoh Caddy now $$$$SOLD! Can't believe that the one prospect buyer just never paid for it, it'such a lovely little camera...! 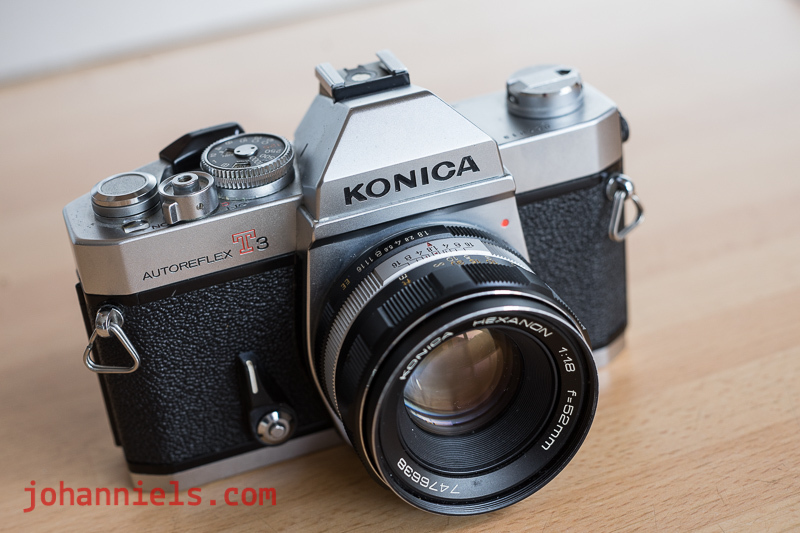 I think the Konica Autoreflex T3 and especially the AR lenses are every bit as good in fit and finish as the Leicaflex and R lenses. A T3 with working meter is a rare and extraordinary camera these days. Good luck with the sale! if the T3 is in a similar shape like the K1000 -- and from the pictures it is (even with the little ding) -- it's a great opportunity. shop with confidence, johan is a good guy. Thanks all buyers, welcome to leave positive feedback! All times are GMT -8. The time now is 08:46.